Bridge Across College St. is a collaborative artwork created by Barry Jones and Austin Peay State University students in the President’s Emerging Leaders Program. Jones taught a course with the students that focused on the way that art can address and create social change and engage an audience in participatory ways. 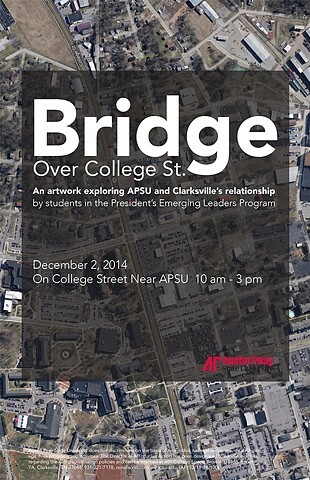 The semester culminated in a student initiated project titled “Bridge Over College St.” The artwork explored APSU and Clarksville’s relationship through interviews with members of both communities. 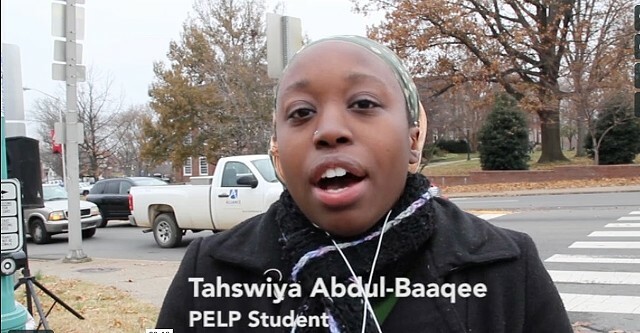 The work was presented on College St. near the APSU campus with speakers on either side of the road.